Extremely small beatle, smaller than an ant, sitting on the edge of a flower. Cute little guy and technically great except... so over-exposed! To each his own Thanks for the comment though, I appreciate it! 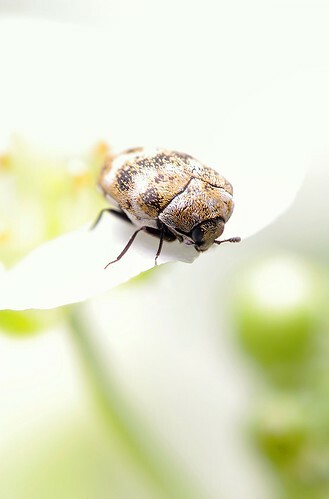 I really like the high key on the surroundings and yet the detail on the beetle. I especially like your interpretation of the event. Spot on.